HVAC Pasco County: Vent Placement Matters! Does HVAC Vent Placement Matter? When it comes to understanding why your home is ice cold in some areas and boiling hot in others, it can be easy to say that your air conditioning unit is just faulty. However, this might not be the case! Your ducting and duct placement determines just how successful your HVAC will be at heating and cooling your Pasco County home. Today, we are going to cover why good duct placement is crucial to making the most of your home and your space. The main thing to remember is that good duct placement will provide the lowest air conditioning costs, heating costs, energy costs, and repair costs—as well as providing the top level of comfort available. When you understand where the best places are to install ducts, you will understand how and why we choose the areas we do when we perform installations for your home or business. Keep in mind that many builders will put air conditioning ducts where it is easiest to do it, not necessarily with your needs in mind. Unfortunately, poor duct placement will mean high heating and air conditioning bills with very little comfort to show for it. One of the worst places to place the ducts is right by the door. Air will come in, quickly be heated or cooled, and then slip back out the door when you open it. 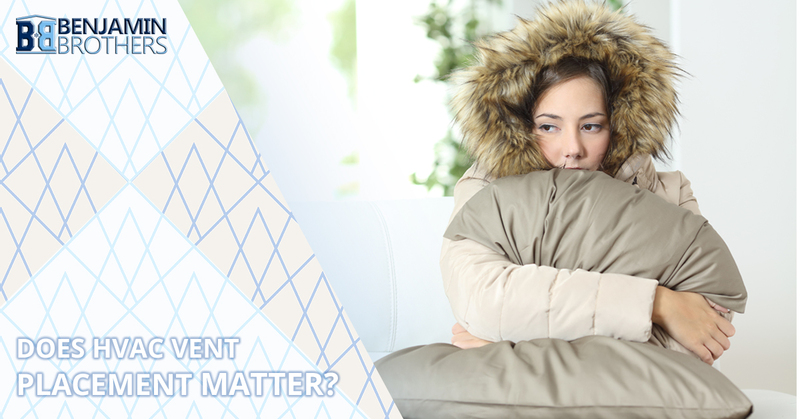 The two walls opposite your door will take much longer to be heated, as that air will mix slowly with the old air. The system also has to run longer in order to get the room to reach the temperature you want it to. This means that both your energy and your repair costs will increase! So why do companies allow bad ducting jobs in the first place? There are two common reasons. The first is that the materials cost less when you choose shorter duct runs. The second is that it takes much less time to install ducting where the attic is higher. More time means higher labor costs. So in the end, while it costs less to install, it costs much more to operate the entire HVAC system. This extra energy will lead to an increase in the need for repair, as well as a higher utility bill price. The best duct placement can help your home be fully heated and cooled with minimal energy being used. This placement will allow air to flow through ducts at the spots that are furthest from the door. This pushes the old room air out when the door is open and then back to the heater to be cooled or warmed as is required. When you look around your home, notice where the ducts are placed. Are they in an area that makes sense and is fitting for your energy needs, or are they placed poorly? If you want to learn more about our services and about ducting, give us a call! Benjamin Brothers is here to help the residents of Pasco County achieve the highest efficiency when it comes to their heating and air conditioning units.